Christians at Matri Dham Ashram, Varanasi, during Lent, 2015. Ignoring protests from Christians, the Indian Prime Minister, Narendra Modi, launched Digital India Day on 14 April – Good Friday – as part of his government’s campaign to promote widespread use of electronic products and services. 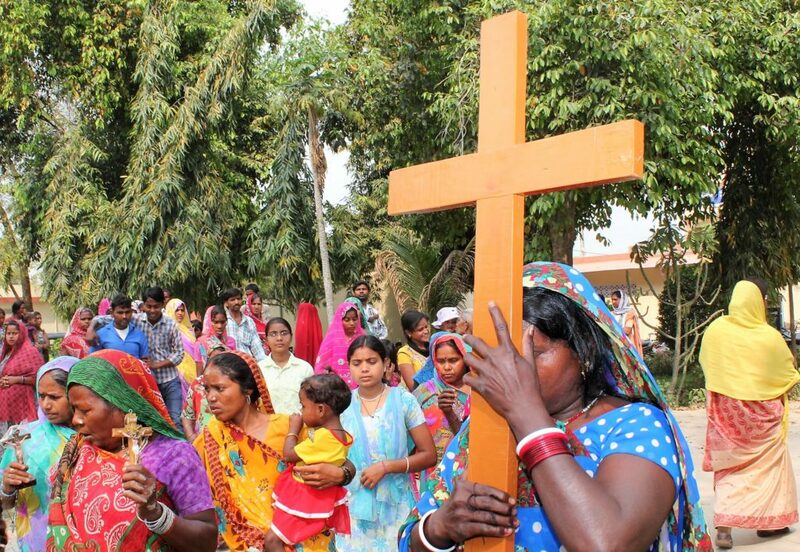 India’s Christians said they felt marginalised by the move because it fell on an important day in the Christian calendar. When India’s second-most populous state, Maharashtra, launched Good Governance Day in 2015 and asked its employees to conduct training programmes on Christmas Day, the decision was met with similar concerns. Soon, it became a national issue when the federal education department issued directives for the whole nation. Now, Christian state government heads have joined church leaders in openly appealing to Mr. Modi to defer the launch of the new digital campaign. “I have written to the [federal] union cabinet secretary because it is necessary for me to express concern on behalf of the people, with special reference to the north-east, which has a significant Christian population,” said Mukul Sangma, Chief Minister of Christian-majority Meghalaya state, three days before Good Friday. “We have to be candid in asking: ‘What is their agenda?’ Observing Good Governance Day at Christmas and now Digital India Day on Good Friday. Are they trying to marginalise the minority?” questioned Sangma. Three quarters of Meghalaya state’s two million people are Christians. Similar protests came from other Christian-majority states in the region, Mizoram and Nagaland, while the local BJP leaders (part of the coalition government in Nagaland) pleaded with their federal colleagues to defer the move. The federal government, led by Mr. Modi, had created an international furore in December 2015 when it declared that Christmas Day would be Good Governance Day. It announced a series of measures, ordering educational institutions to be open and government officials to report for duty, even though Christmas Day is a national holiday in India. Following widespread protests, the government modified these measures. However it still went ahead with Good Governance Day on Christmas Day, giving the excuse that it is the birthday of Atal Behari Vajpayee, former Prime Minister and one of the BJP’s founders. Conrad Sangma, MP, is an ally of the BJP in the north-east, where he helped it form the government in Manipur state in March. Supporting Christian pleas, he also wrote to the federal government, requesting Digital India Day be deferred. “I express my best wishes for the celebration of Digital India Day, but with my deepest sincere concern for the Christian communities of India, who strongly believe that Good Friday is a holy, auspicious moment,” Sangma wrote in his letter to Mr. Modi on 12 April. “I humbly suggest that you kindly defer Digital India Day, so that the secular fabric of India remains honoured, both in writing and spirit. The Church of Northern India (CNI) – India’s largest Protestant group, represented in all but five of the southern states – had also written to Mr. Modi. Though this appeal was for the whole country, the federal government exempted only the Christian-majority north-east Indian states of Meghalaya, Nagaland and Mizoram from observing Digital India Day on Good Friday. In a letter to the chief secretaries of Meghalaya, Nagaland and Mizoram, the federal government said that, on account of Good Friday, the state governments could hold it on “another date convenient to [those three] governments”. This decision came after the Meghalaya and Nagaland governments had already decided not to observe Digital India Day because of Good Friday. However, the exception was not offered to Arunachal Pradesh state, where more than one third of its 1.3 million people are Christians. The state is ruled by a BJP government. Since it came to power at the national level in 2014, the Hindu-nationalist BJP has “repeatedly played with the sentiments of the Christian community of the country by deliberately holding various important events of the government on the same day as Christian events,” according to the Arunachal Christian Forum. Such discriminatory action “is undermining the secular fabric of India and fuelling the agenda of religious intolerance against the religious minorities in India,” the group added. 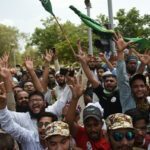 Meanwhile, US-based Pew Research has reported that India has some of the “highest combined levels of government restrictions and social hostilities involving religion“, along with Russia, Egypt, Pakistan and Nigeria – some of the world’s most populous countries. Pew researcher Katayoun Kishi said “government restrictions on religion in India are rated as high”.